A luxury website for a luxury home builder. 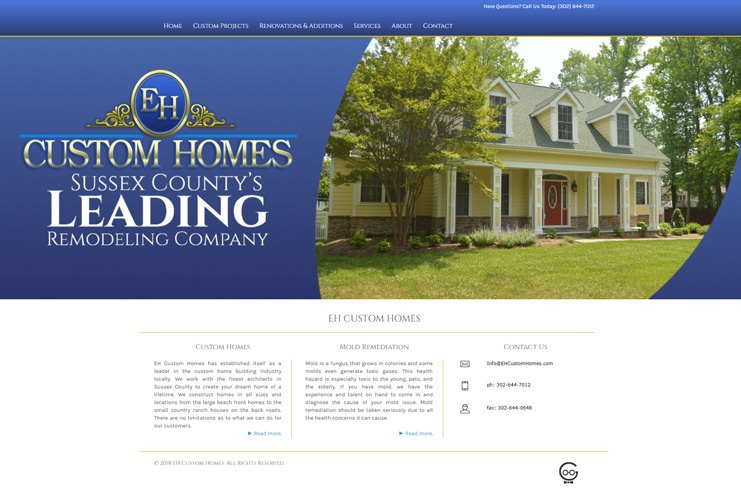 Create a custom website for displaying the various custom homes that EH builds for clients across southern Delaware. For an entirely custom home builder, there is no "floor plan" listing on this site. Instead, the focus was on creating a project gallery for displaying the finished homes and other informational pages.